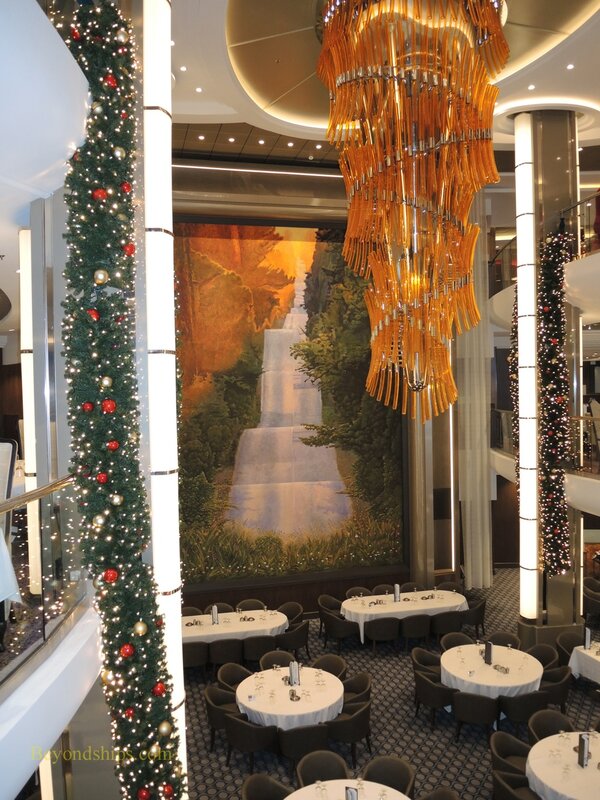 Harmony of the Seas can be thought of as having four main dining rooms. Three of these are housed in a huge room that rises through three decks. Each restaurant has its own name and decor. However, all three follow the same menus. The other restaurant, Coastal Kitchen, is a premium restaurant for guests staying in certain suites. It is located apart from the other restaurants. 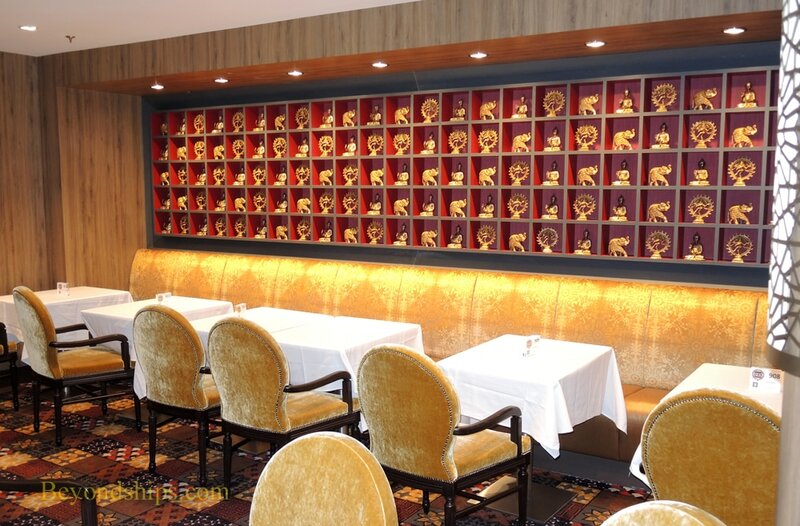 The American Icon Grill is located at the base of the large dining room. 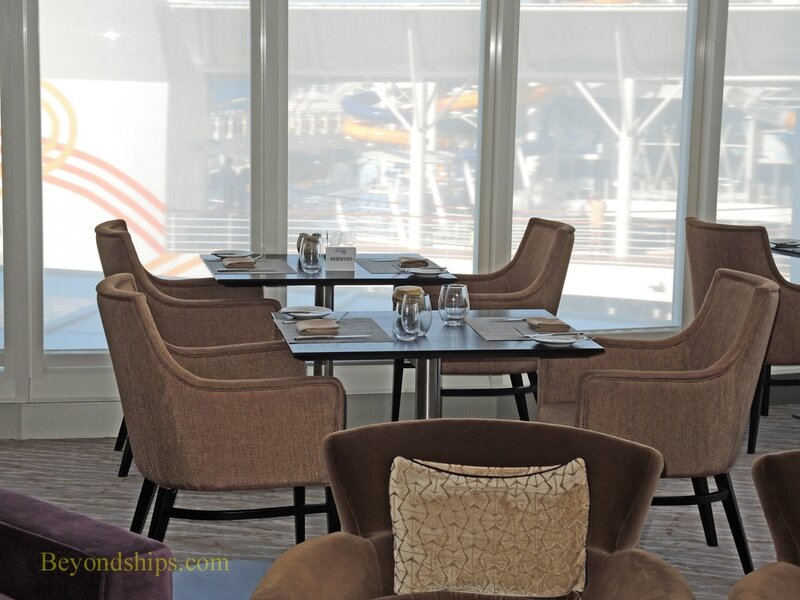 It is open to all for breakfast and lunch (sea days) on an open seating basis. At both meals, there is waiter service. 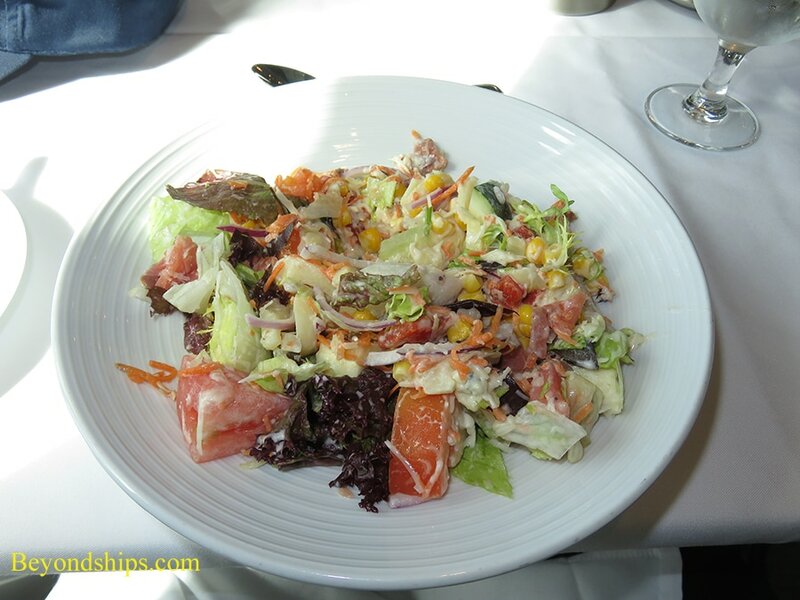 However, in the center of the room stations are set up with such things as a cereal and fruit bar at breakfast and the incomparable Tutti Salad bar where you can have a salad made to order. For dinner, the American Icon follows the traditional system. 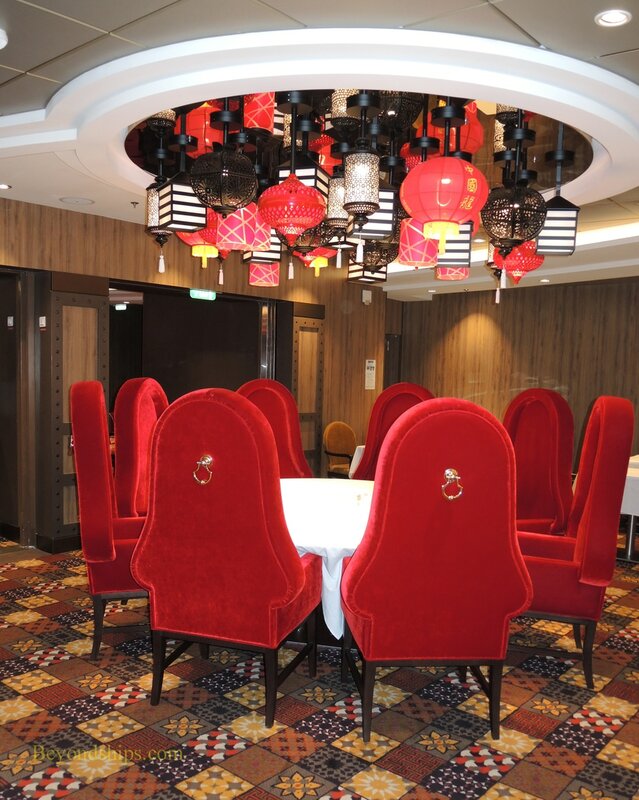 Guests assigned to this venue have a specific table each night at either the early or late seating. The Grande is located on the second level of the large dining room. 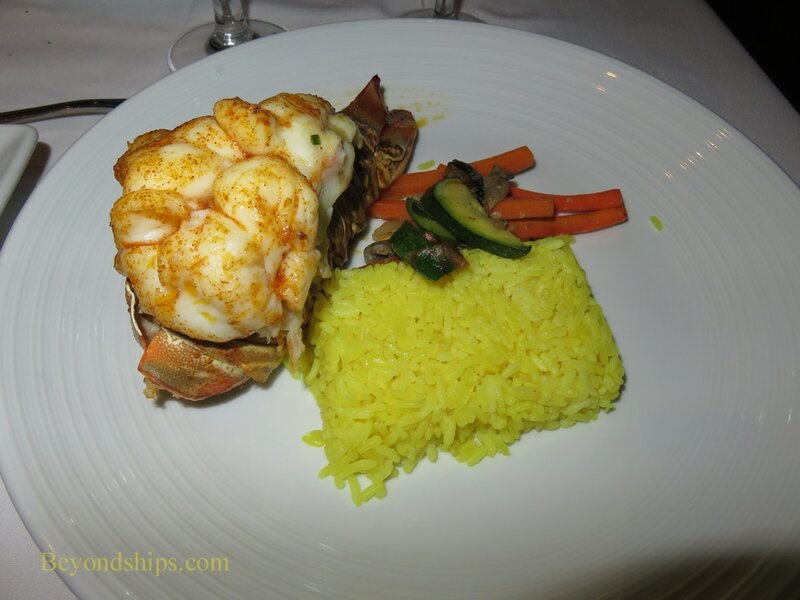 It is only open for dinner and follows Royal Caribbean's flexible dining system. Guests can come to dinner any time the restaurant is open. However, reservations are strongly encouraged. 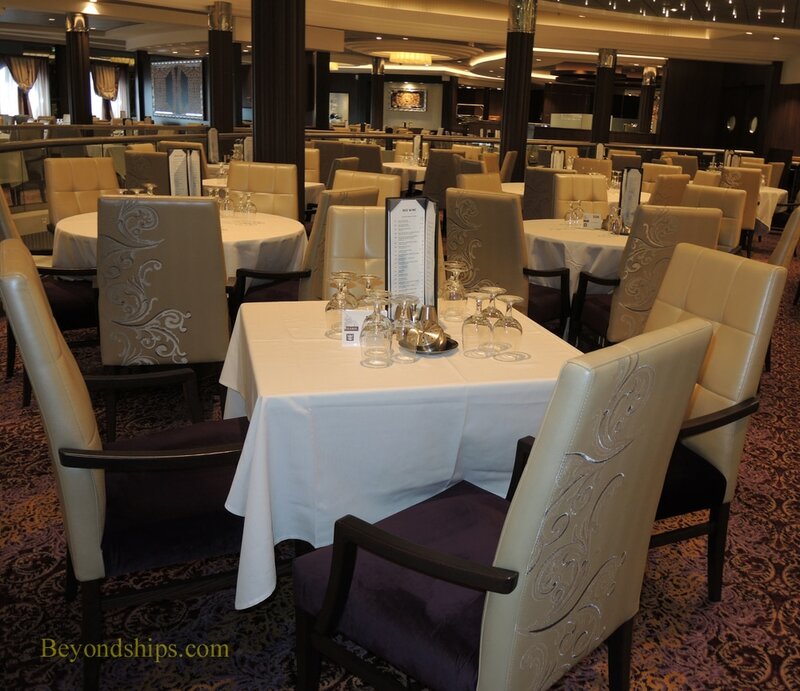 Although there is no guarantee that you will have the same table or waiters throughout the cruise, an effort is made to seat guests in the same section each evening. ​Silk is at the top level of the large dining room. 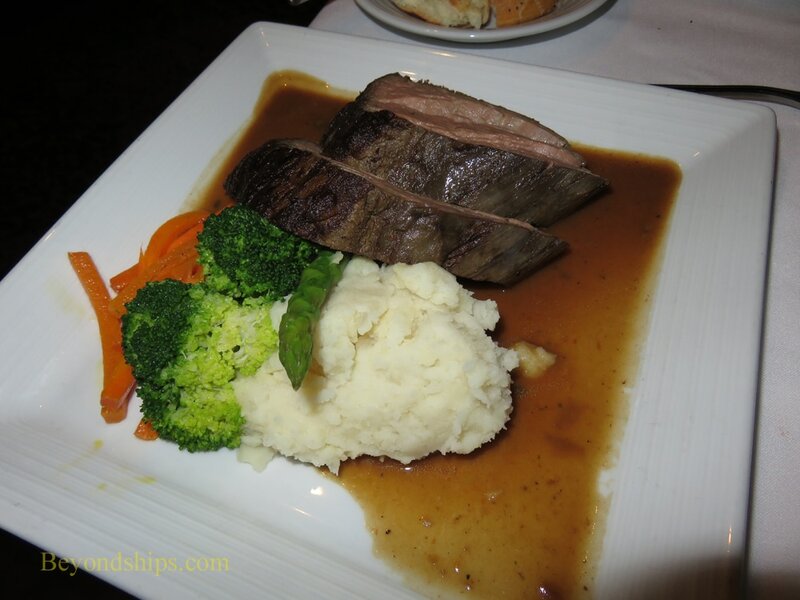 It is only open for dinner and follows the same flexible dining system as the Grande. 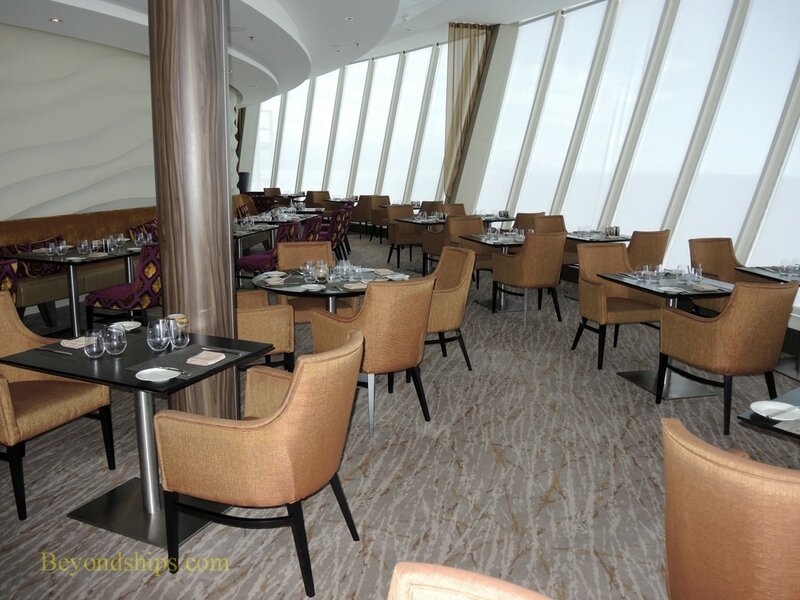 The Coastal Kitchen is located on Deck 17 in what was called the Viking Crown on earlier Royal Caribbean ships. Its floor to ceiling windows offer spectacular views forward over Central Park, the pools and the sea. 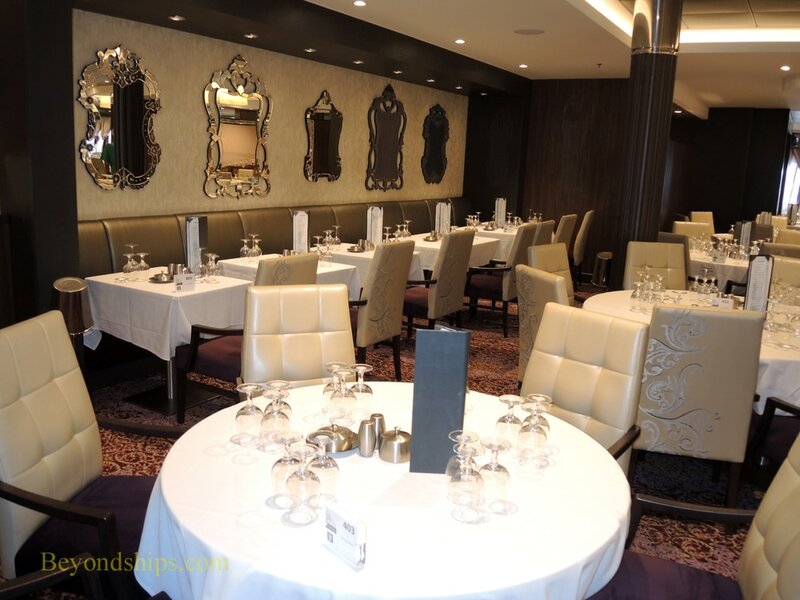 This venue is open for breakfast, lunch and dinner but is only open to guests staying in a Grande Suite or above and to Pinnacle members of Royal Caribbean's loyalty program.